Gone are the days when you needed to write code for creating websites. Now, you can create professional looking websites, without writing a line of code. Just by drag and drop options! 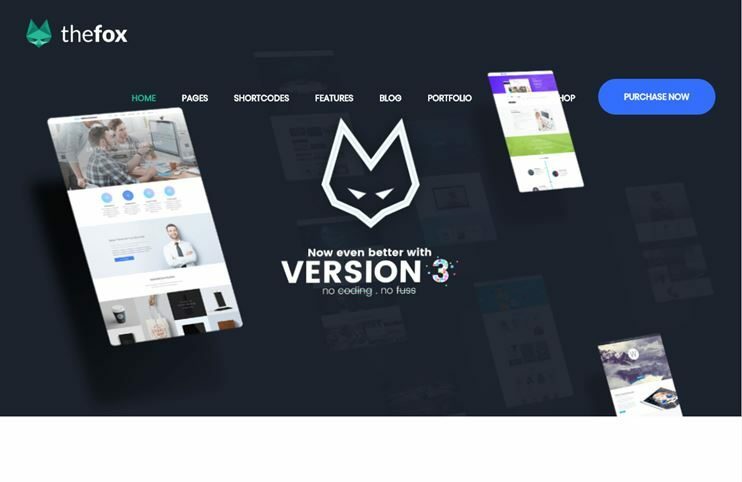 Here a list of some of the most beautiful and best drag and drop WordPress themes of 2018 for a trouble-free website building experience. With these themes you can create wonders without actually touching code. To rearrange the elements, you won’t need to find the option from back end. Instead, you can manage everything with drag and drop options. 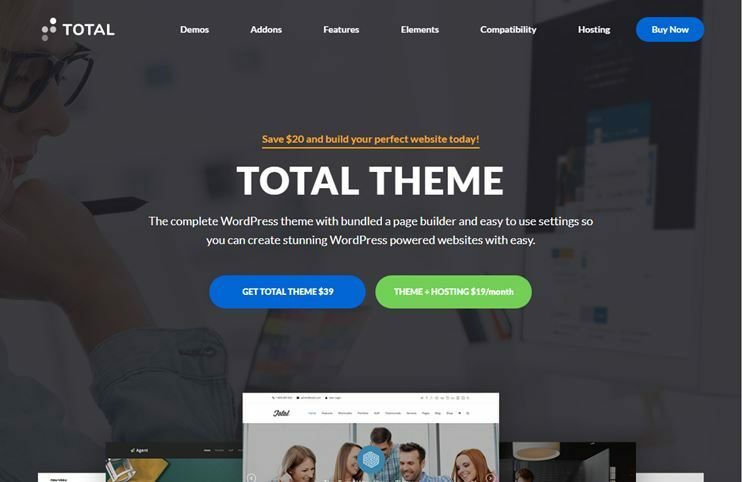 Most of these themes are multipurpose themes that will let you create a website of almost any subject. Even when they are designed for special purpose, you can use them for almost anything. With these themes, you have unlimited customization opportunities. So, save the time and efforts needed to visit sites and choose the suitable one from these collection of drag and drop responsive WordPress themes. Creating a website with this theme is fun! 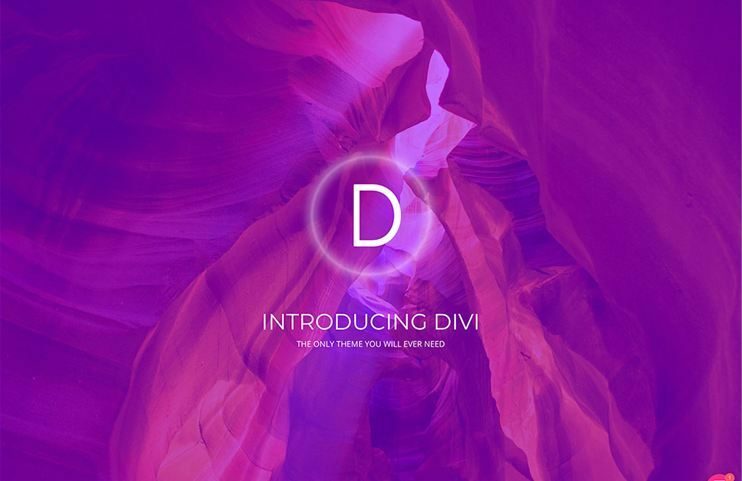 Divi is a beautiful, Flexible & a truly multipurpose WordPress theme. It is feature-packed and one of the best drag and drop WordPress themes. With Divi, you can create almost anything using the simple drag and drop options. The drag and drop control is provided by theDivi builder(which is also available as a separate plugin. It comes with enough content modules to create your pages. With the available options, you can draft the design of your imagination into reality. The theme has a live customizer, that reflects the changes made in your site, real time. Divi is translation and RTL ready. You also have some pre-designed demos and inbuilt page layouts to get started with. It is SEO friendly and eCommerce ready too. Unicon is a multipurpose theme, for letting you easily create the website of your choice in 2018. The Visual composer comes in-bundled with the theme. There are more than 50 custom page elements that you can use with the drag and drop page builder. So, you can create pages of your imagination by drag and drop options. Unicon comes with pre-designed pages too. Besides the theme also allows you to choose from the available demos. With Unicon you have limitless customization options. The theme is flexible enough to let you create any kind of website. Being compatible with WooCommerce you can also start an online shop with the theme. MyBook is the best choice for book writers and publishers to promote books online. MyBook comes with its visual composer which lets you add your content in minutes. 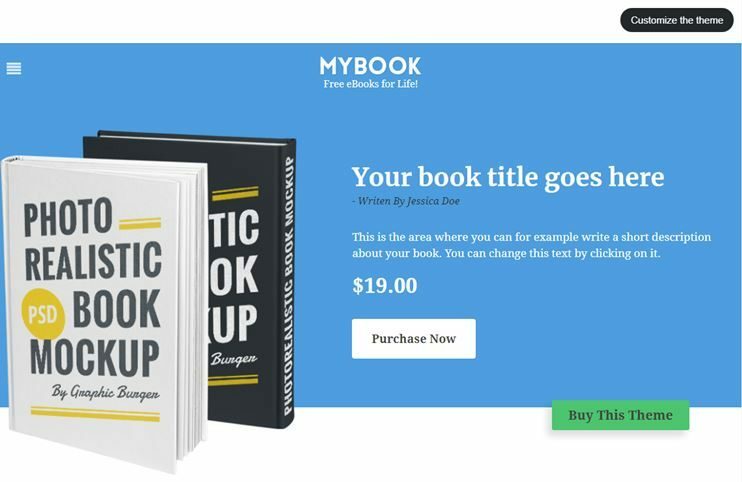 With MyBook’s visual composer you can change any text simply by selecting it and start typing your own text. The same applies to images. To change an image all you have to do is to click on it and upload your own image. Foundry too, is a multipurpose theme. With all the customization options, you can create a website of any subject. It is a clean and modern theme for your website in 2018. With all the customization options, you can create a website of any subject. Foundry also has the Visual composer included. With the page elements and visual composer, you can create pages with drag and drop options. Foundry has a clean code and an SEO friendly design. You can choose from the available portfolio or blog layouts. To suit your branding, you can also choose from the available header and footer options. With Foundry, you can also set up an online shop using WooCommerce. 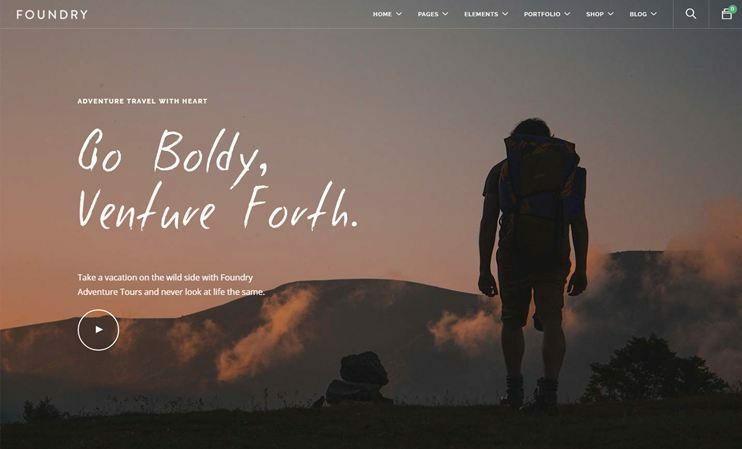 Uplift is one of the highly customizable and multipurpose themes. You can choose from the available demos. Besides you have options for headers, blog and portfolio layouts, and navigation styles. Uplift comes with the inbuilt swift Page builder. Along with this page builder there are 54 page elements. Almost every content module is included in these 54 elements. So, with the Swift drag and drop page builder, you can create page design of your choice. You can also choose from the pre-made page layouts you get with the theme. 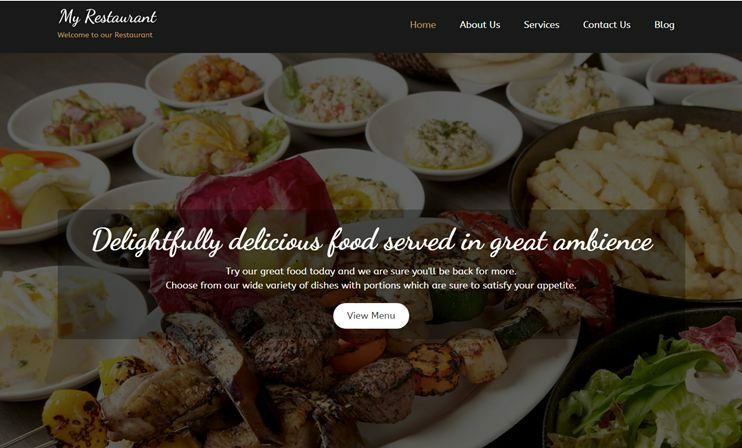 MyRestaurant is designed around the powerful front-end visual composer or as we call it, QuickEdit. As you probably guessed by reading the theme name, MyRestaurant is designed for restaurant website and diner owners looking to showcase their daily specials, unique offers and more. 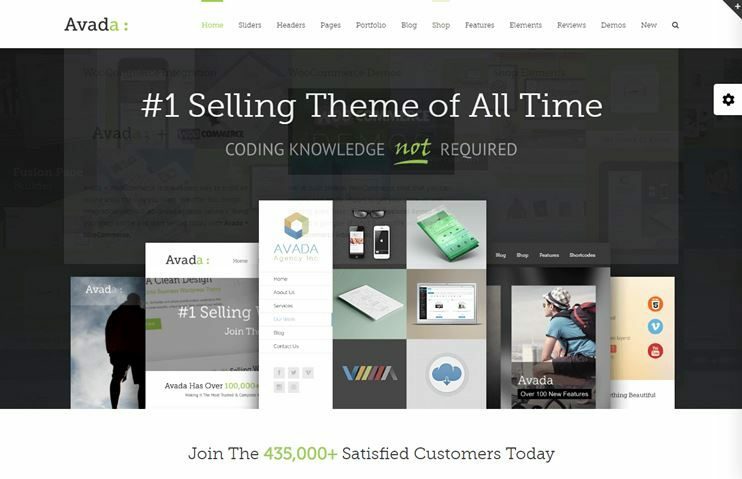 Avada is one of the best selling and amazing drag and drop WordPress themes. Avada is a multipurpose theme. There's absolutely no limit to what you can create with Avada. You can choose from the available demo options. With the powerful customization options, you can customize the website. Avada comes with the Fusion builder tool included. The fusion builder is an ultimate drag and drop page builder. You can manage the page layout as well as the arrangement of elements using it. Along with it there are fusion theme options to manage the theme behavior. 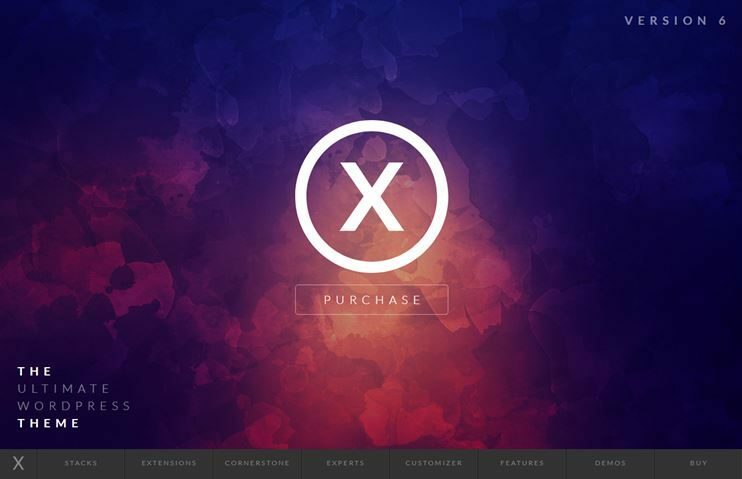 X is a theme with many features, unlimited customization options and clean design. X is a multipurpose and flexible theme that you can use for almost any purpose. X comes with the Cornerstone WordPress page builder. It is an effective and intuitive page builder. The front end drag and drop page editor will allow you to create page designs of your imagination. You have multiple options and shortcodes to customize the content of Your site. For ecommerce features in your site, you can use the WooCommerce plugin. Enfold is a multipurpose theme with demos, you can choose from. It has a clean and responsive design. The theme also has multiple customization options available to create a beautiful websites in 2018. Be has a clean look and is performance optimized. 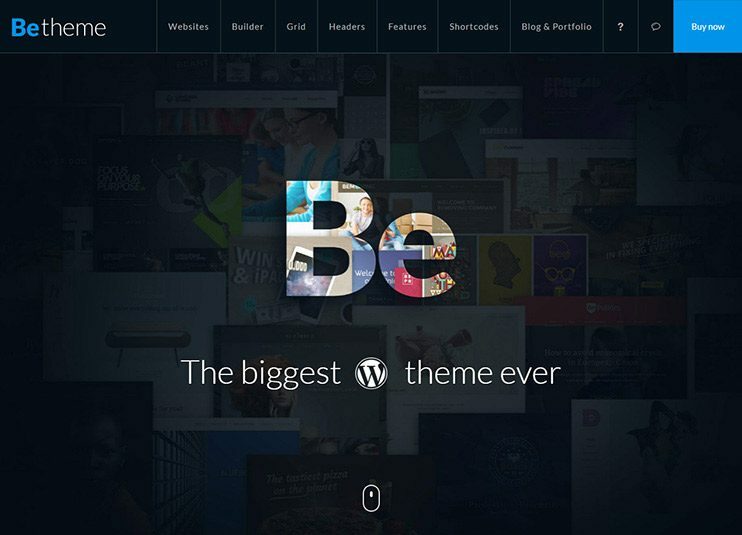 With the Be theme, it is possible to create a website of any subject. Be comes with more than 210 demo websites to choose from. So, it's probable that you may find a pre-made demo of your subject. Choose your opportunity for a wonderful website in 2018. With Be you can use the inbuilt muffin builder tool or can opt for Visual composer instead. Visual composer is a widely accepted page builder. Whereas muffin builder is an efficient and detailed page building tool. With the Layout designer you can create layouts and assign them to the pages. For creating an ecommerce related website, you can use the WooCommerce plugin. With the Be theme you also have custom widgets and shortcodes. Download drag and drop theme Now. 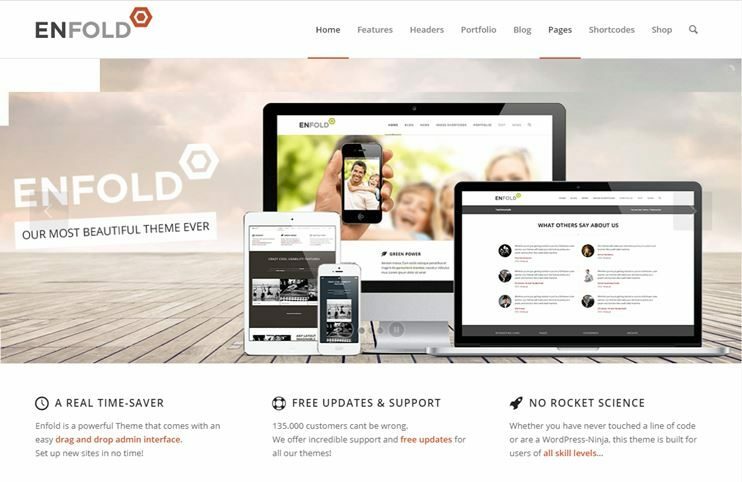 Salient is a creative and multipurpose theme. It's design is clean and comprehensive. 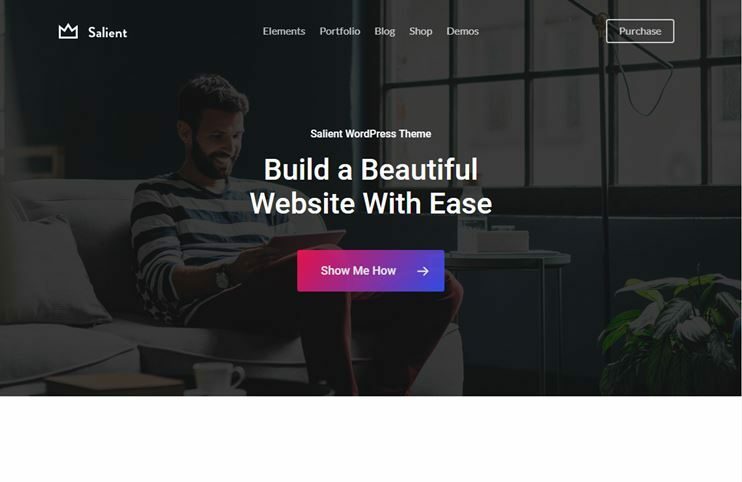 You can create any kind of website using this theme. Salient comes with a tightly tailored version of Visual composer. Using the available page elements, you can design pages of your choice. Being a multipurpose theme, you can use the theme to create a website on any topic. So create pages that suit your purpose or change the layout of existing ones. The theme's options panel has abundant options to change the theme. For advanced customization, you can create and use child theme. Fox is a smart and responsive WordPress theme. The theme is not just beautifully designed, but is feature packed too. It is a multipurpose theme that can be used for unlimited applications. It has the Visual Composer page builder included into the theme. Fox has some extra modules included. So, you have full flexibility to create the pages of your imagination. With the powerful admin panel of the theme, you can easily customize the theme and make it work the way you want. For creating an ecommerce website using The Fox, you can use the WooCommerce plugin. Make your pages look alive and interactive with the css3 animations on content modules. Stockholm comes with over 40 demos to choose from. With all the customization options you can create wonders with the theme. You can manage almost everything in the theme without ever needing to touch the code. 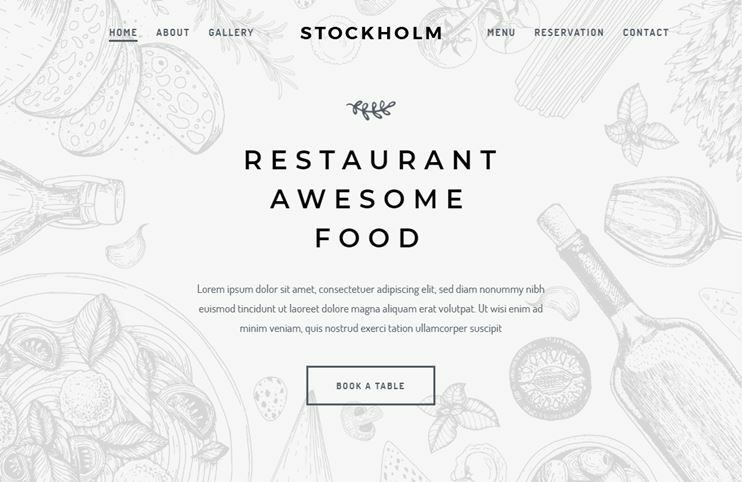 Stockholm is a theme for displaying your work, spreading your message or selling online. With plenty of color and font options you can change the look of the theme. It comes with Visual composer included, so you can create pages with drag and drop. For advanced customization, you can also use a child theme. It is also compatible with the WooCommerce plugin for leveraging ecommerce features. SEO WP is a theme that lets you create and manage your web pages with drag and drop options. You can use SEO WP to create an SEO related or a website for Web hosting/Web Service agencies. It also includes a drag and drop form builder to create contact forms. The theme has included Live composer to let you create pages easily. This live composer allows you to create pages at front end using drag and drop options. So you can create pages of your choice with simple drag and drop options. With clean code and plenty of customization options, you also get SEO related icon set. Scalia is a multipurpose theme. With Scalia, you can create any kind of website in 2018. Scalia is easy to use and comes with lots of customization options. 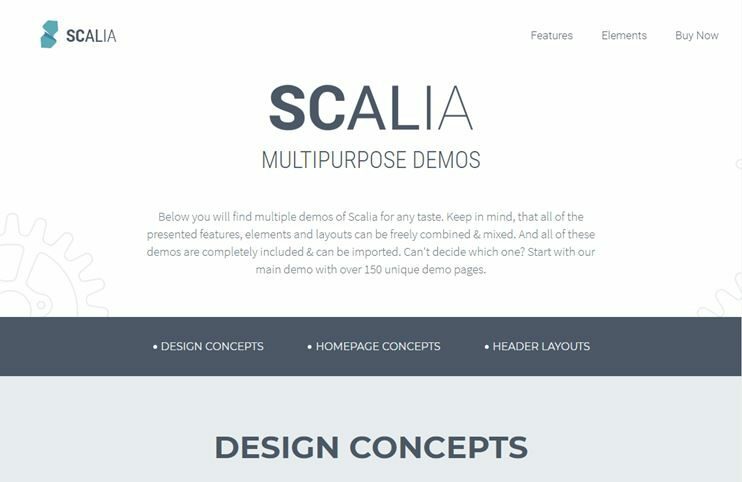 Scalia relies on Visual composer for page building. With the Visual composer, you can create page layouts of your own with drag and drop. The theme also has a homepage constructor to create homepage layout of your choice. All with drag and drop. You can also create an ecommerce website using Scalia by integrating WooCommerce. Scalia is SEO optimized and comes with custom widgets. 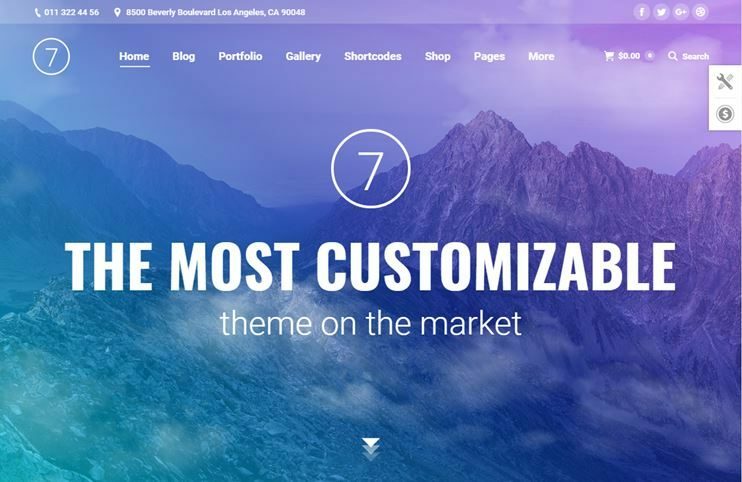 The7 is a multipurpose WordPress theme. It comes with 25 pre designed website demos. Select the one that suits you purpose. It is a highly customizable theme. It has more than 630 customization options. You can absolutely change the theme's look using these options. To create pages, Visual composer comes included in The7. With drag and drop page building options, design your own page layouts. 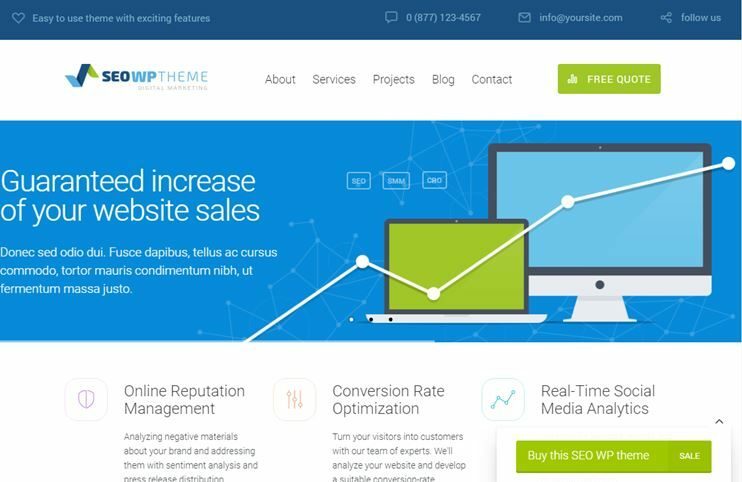 You can also sell with this theme using the WooCommerce plugin. The theme has post types for displaying portfolios and image galleries. There are many page templates available with the theme. Oshine is a responsive and multipurpose theme. It comes with 25 demos. You can install the one of your choice easily. The theme has many layout options. Total also makes use of the Visual Composer page builder to let you create pages. Total also consists of a live customizer to let you change the theme appearance with ease. Total is WooCommerce compatible, so you can sell products on your website. With Total, you can also add and manage events by integrating Events calendar plugin. 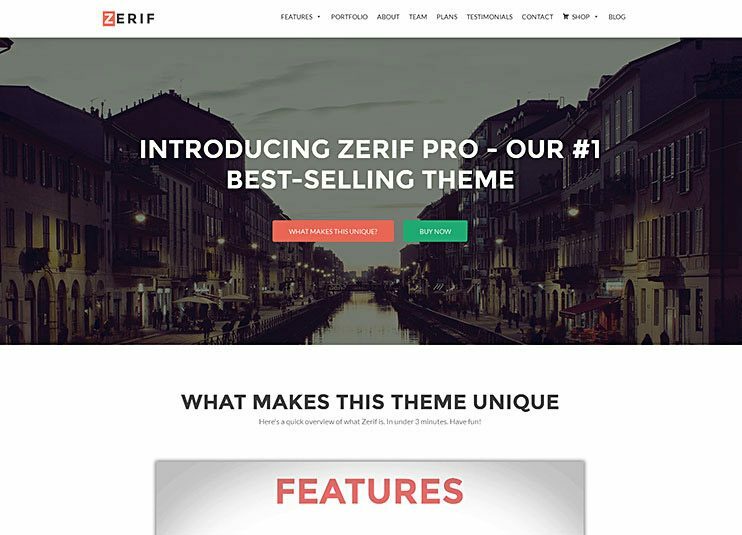 Zerif pro is an elegant WordPress theme that you can use to create any kind of website. 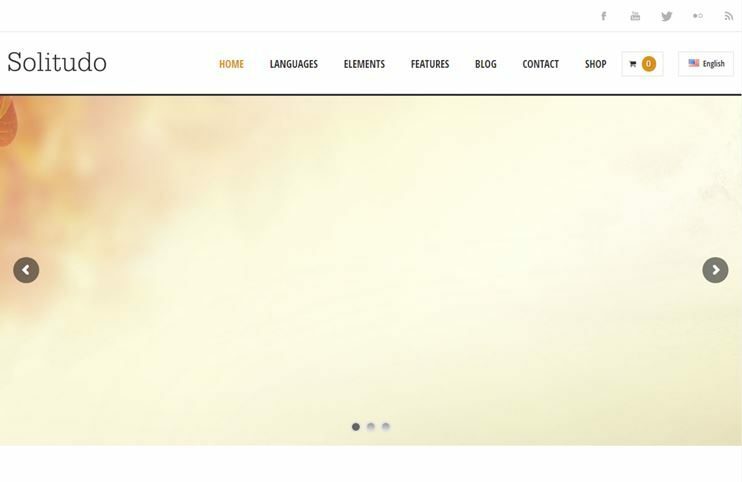 It is a multipurpose theme and you can use it to create a website of almost any subject. Zerif Pro comes with SiteOrigin page builder. Create page layouts easily with drag and drop page builder. With the live customizer, you can visualize the changes made in the theme in real time. Zerif pro is Translation ready and RTL compatible. 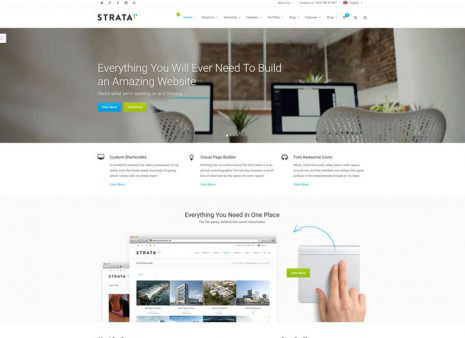 Strata is an amazing WordPress theme with a simple yet elegant design. Being easy to use, you can create website of your choice. Strata comes with an inbuilt version of Visual composer page builder. With this page builder, you can create page designs of your own by dragging and dropping elements. Strata is SEO optimized and child theme ready too. The page elements have beautiful animations. This theme also supports hd video backgrounds. Basis is a modern and elegantly designed theme. 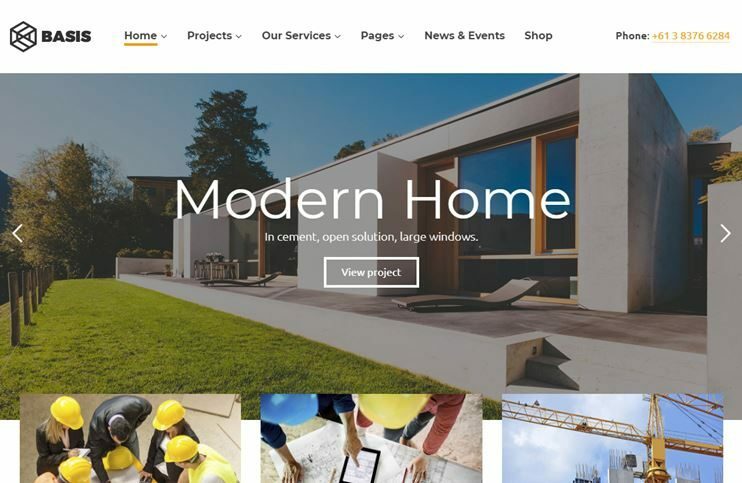 You can use this theme to create an online construction website with drag and drop options. For drag and drop page building, basis comes with the Visual composer page builder. The theme is multilingual translation ready. With the powerful theme options you can change the theme's look easily. Basis is SEO optimized theme. For ecommerce features, you can integrate the WooCommerce plugin. Solitudo is crafted to let you create website of your desire with very easy and intuitive options. It is a multipurpose theme that can be used to create a website of any subject. For the ecommerce features, the theme is compatible with the WooCommerce plugin. The theme has an inbuilt drag and drop page builder using which you can create designs of your own. The theme is organized with various content sections. You can add the content sections and create a one page website with this theme. Headway theme is one of the best drag and drop page builder. The theme is multipurpose and can be used to create a website of unlimited application areas. 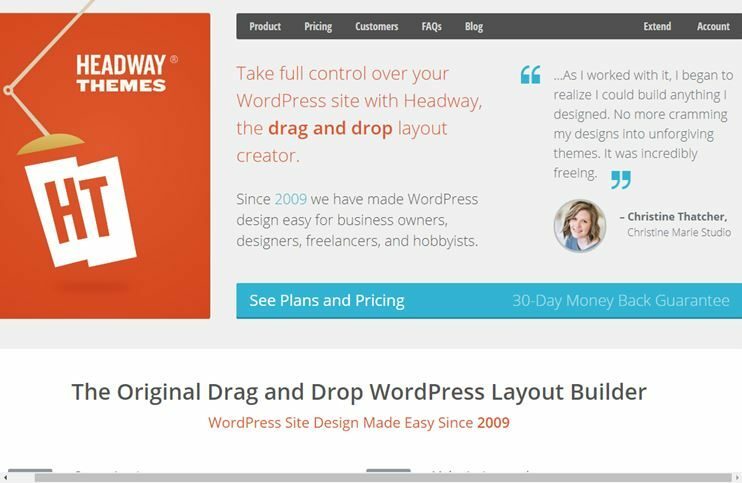 Headway comes with an easy to use drag and drop page builder. With this page builder you can easily create content of your choice. With drag and drop options, you can decide the complete layout of your site. With headways grid, you can create layouts and place the elements where you want. To make advanced customizations, you can include your code in the theme very easily. River is a multipurpose theme. You can use this theme to create a business website or any kind of professional website. 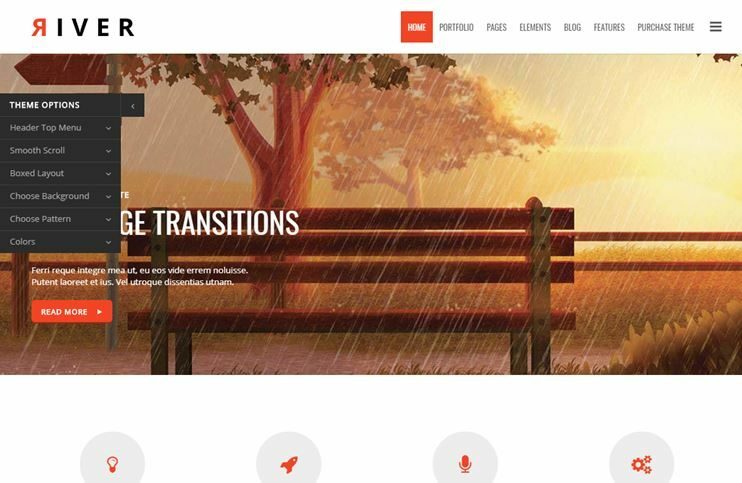 River also works on the basis of Visual composer page builder. With river you also have bonus parallax pages. So, you can create parallax pages of your requirements. River is SEO optimized and is child theme ready. You can turn on or off animations. 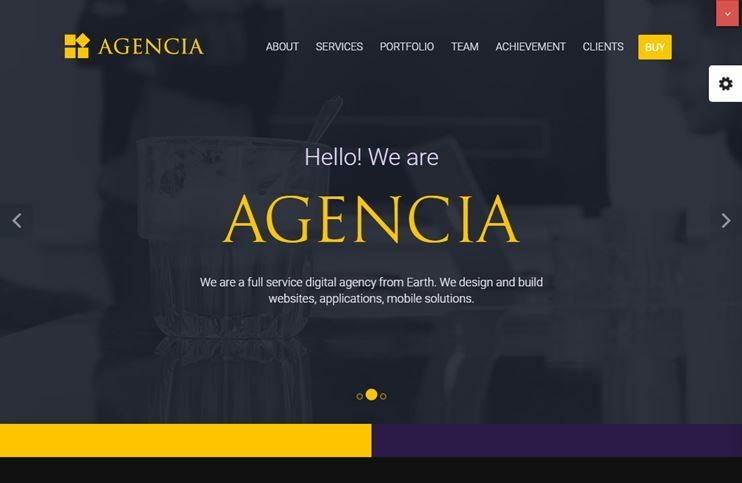 Agencia is one of the best One page business website theme for creating multi-purpose websites in 2018. You can choose from the available preset styles available to choose from. There are unlimited possibilities for creating layouts using the theme. Agencia comes with an inbuilt page builder. With this page builder you can create webpage structure of your choice. 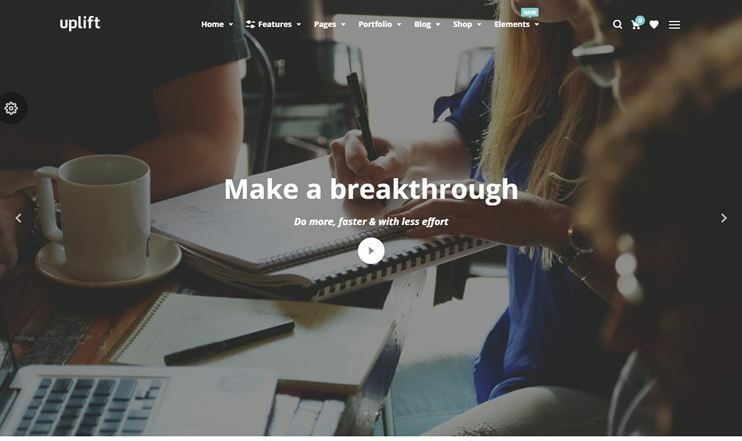 There are design blocks that you can use with this page builder. Agencia also has some beautiful portfolio options. So, you can display your work using them. If you are not a designer and wish to create a website of your imagination without much hassle, the themes on this page are perfect for you. The good thing about these themes is that they are multi-purpose. So you can use them to create a website of any subject. And to create a page layout of your choice, you just have to drag the correct option at the correct place. Now, is the time to grab a theme of your choice, and start creating your website. Nice themes, thank you very much for sharing! One of the great list for Drag and Drop templates. I can easily keep this bookmarked when looking for themes I can get to this and aha I’ll get it all listed in one place. If you need any sort of help choosing between this themes please let me know so that I can come up with some suggestions for your website. I was looking for a theme easy for my website, easy to install easy to setup and easy to manage here is the list. A great list of Drag and Drop themes to select from. Thanks for sharing guys. which theme is your favourite and why? Wow, that’s really nice collection of themes. Thanks for sharing. I decided to go with X theme for my next website as it is compatible with Buddypress and I like the clean design. Thanks for the list for getting the best idea. Great choice, X theme is one of my personal favorites and that’s why it is listed over here. If you need any sort of help regarding themes or WordPress in general feel free to let me know. Great list of themes. I’m sure but just want to confirm are these ecommerce themes are SEO friendly, if so which one you recommend the most? All the themes listed above are SEO friendly because WordPress by default is SEO friendly. The developers can not break anything as it is hard to do that. Well if you need more on SEO you can use popular SEO plugins for that which are fully compatible with above themes. The mots popular SEO plugins are SEO by Yoast and All in one SEO these plugins provide flexibility to control title, meta description and other SEO related things. It is not mandatory to use this plugin but using this plugin is an added advantage to get best out of WordPress.